It is expected that people with this condition will die while still relatively young. Among affected people diagnosed with VEDS, 25% have experienced a significant medical complication by age 20 and more than 80% by age 40. The median life expectancy for people affected by vascular EDS is 51 years. It is not a common condition, and a part of the charity’s objective is to empower the children who have condition and their families to understand the condition. To enable this to happen, in September 2018, the Charity led a weekend in Blackpool which 30 families attended including 63 adults and 38 children. The ELMC played a large part in funding the weekend. “A Bury charity organised their first ever weekend retreat for families affected by the life threatening genetic disorder Vascular Ehlers-Danlos Syndrome (vEDS). Founders of Annabelle’s Challenge organised for 30 families to travel to Blackpool for a holiday. Their visit included a private tour of the famous Illuminations on a vintage 1935 tram. 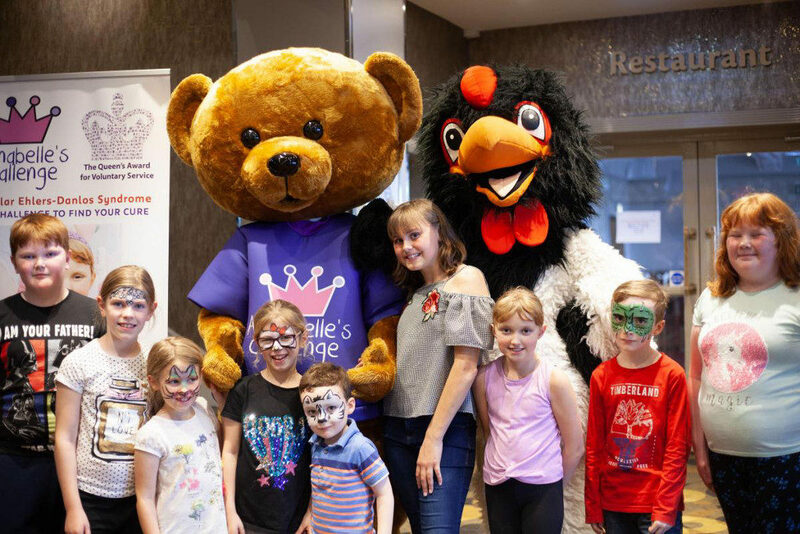 A total of 38 children were entertained during the weekend and enjoyed a meet and greet with the charity’s mascot Toby. The group stayed at The Cliffs Hotel on the promenade, and during their visit heard talks from Dr Neeti Ghali and Dr Fleur van Dijk. Mr Griffin said: “It was so lovely to see our extended vEDS family come together for a weekend retreat, a follow up to our successful first ever conference held last year at the Village Hotel Bury. The visit, on September 14-16, was funded through monies raised by Annabelle’s Challenge and The Leys School, Cambridge, in memory of pupil Carl George who died of vEDS in March 2017, and also a £1,000 donation from the East Lancashire Masonic Charity through Bury District Freemasons. Well done to Jared for getting the publicity for Freemasonry into the Bury Times. We often struggle to get the “f” word into the newspaper. This is the second time that Freemasons have been mentioned as a direct consequence of the donation. Thankyou Jared!